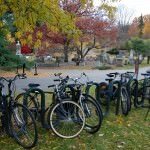 Mount Auburn Cemetery is easily accessible by car, bike and public transportation. Our gates are open to the public every day of the year, although hours of operation vary with the seasons. Admission is always free. The gates are currently open from 8 AM – 7 PM. Washington Tower is closed for the season. Parking is available on any road without a green line. Please do not park on the grass. 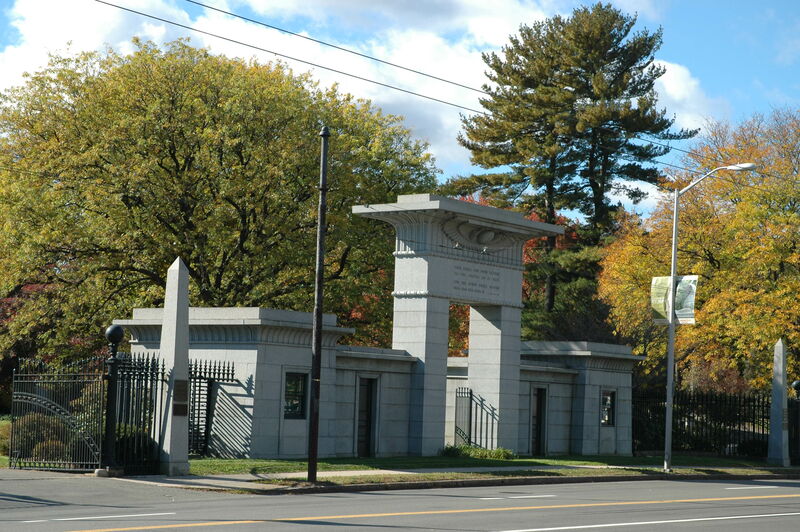 Mount Auburn Cemetery is located on the Cambridge/Watertown line on Mount Auburn Street, just off Storrow Drive. 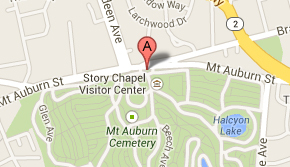 You can drive through the Cemetery and may park on any roads without a green line. Driving directions are available via Google Maps. 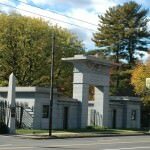 The Cemetery is close to several popular bike routes, including Fresh Pond Reservoir and the Minuteman Bikeway. 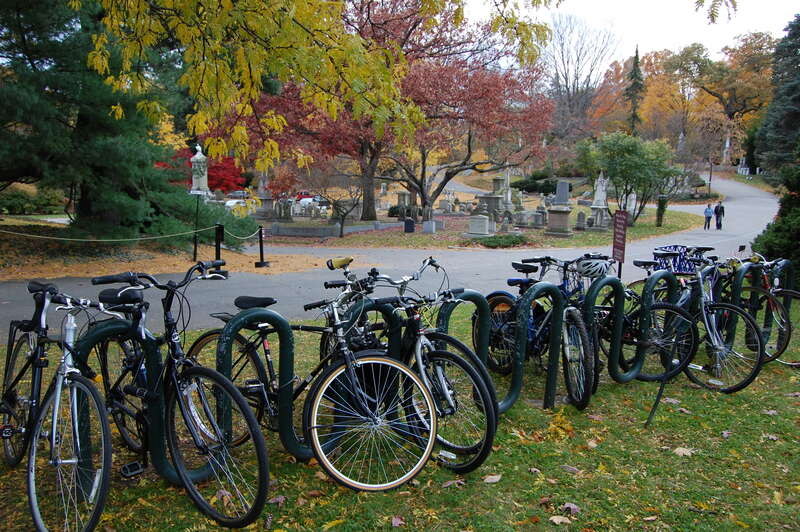 While you cannot ride through the Cemetery, we provide secure bike racks at our main entrance. The closest subway stop to Mount Auburn is Harvard Square on the Red Line. You may choose to make the pleasant 25-minute walk from there or transfer to a bus with a stop across from the Cemetery. At Harvard Square Station, take either the Watertown Square or Waverley Square trolley (#71 or #73). Get off on Mount Auburn Street at Aberdeen Avenue. Cross Mount Auburn Street to the Entrance Gate. For more information about bus and subway routes and schedules, visit the MBTA website.